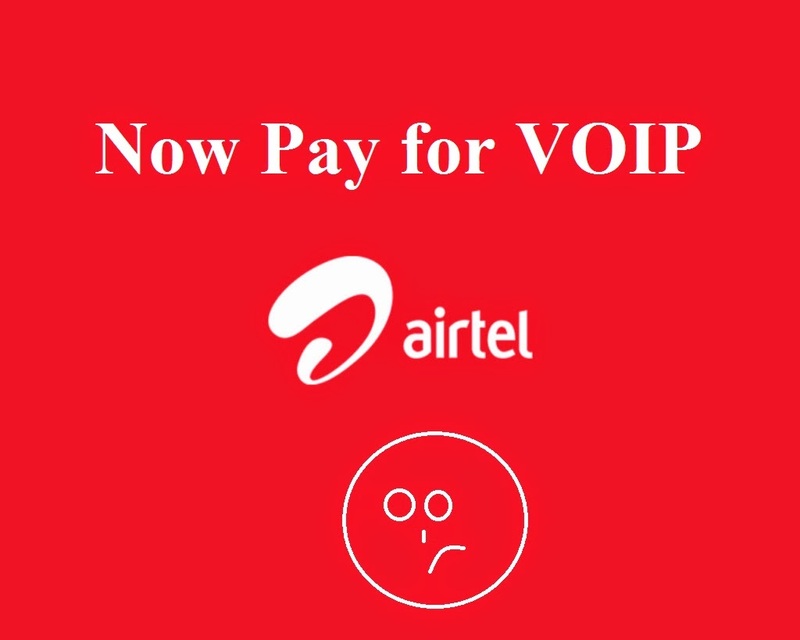 Airtel has Increased its charges to their customers for VOIP that is Voice over Internet Protocol for being number one in the network. And this decision made by Airtel has given birth to a new violation in customers against it. On the Christmas Eve, Airtel has officially announced that for making voice calls or video calls over internet by using, Skype, Viber, and any other application will charge you more than your normal 2G or 3G plans. It has increased the monthly rental charges too by 12%. Airtel has become a very popular and expensive brand or company in this sector. It has nearly 20 crores customers including Post-paid or prepaid. Last year, the profit of Bhart Airtel has been jumped over to Rs. 1,383 Crores . This is the second hike by the company in last three months in monthly rental charges and in internet plans schemes. It has increased internet rates by up to 33 per cent and simultaneously reduced many benefits which were available in the plan. Airtel has added a line to the Term and conditions Of this 2G and 3G Internet Data Plans that if you will use Skype, Google hangouts, or Viber to make calls so you have to pay Extra , Extra then that amount you paid as monthly rental. Airtel has also decided that they will launch a new Internet plans for this service that is VOIP, then customers can get the offer and restart enjoying the Calls over internet. This plan will be specially designed For VOIP services only. Inspite of the words of Airtel, customers are not ready to take this anymore and they have started twitting, sharing over facebook against Airtel’s Decision. People are also sending mails to Union Minister of Communication and IT Ravi Shankar Prashad for complaining against it and demanding the stoppage of it.